Walking along the street, I saw a bunch of bags hanging on a fence on a wall. Popping by for a closer look, I realized it wasn’t a shop selling bags. Rather it was a printshop. They print various things including… bags. The bags on the wall outside were sort of like an advertisement for them, showing potential clients previous works and what they can do. 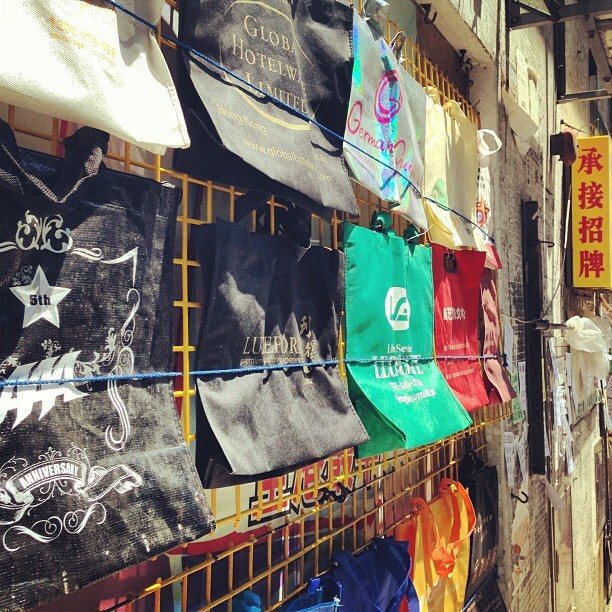 This entry was posted in Instagram and tagged advertisement, bags, street, wall. Bookmark the permalink.